Discover products that people love. We analyze customer ratings and other data to surface the best Amazon products, iOS apps and Chrome Extensions. Get Updates Find out about the latest product additions. 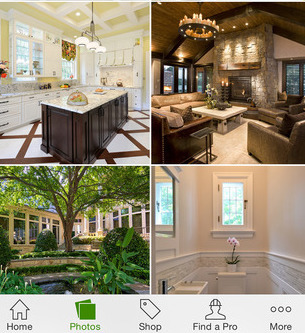 Collections Explore the best products for your interests. Focus on your workout with these wireless, high fidelity headphones. Flexible earbuds helps you achieve a perfect fit. Wireless up to 30 feet. Sweatproof. And an 8 hour battery life. Participate in over 100 yoga classes. Learn over 500 yoga poses. Track your progress and connect with a community of yoga lovers. Perfect for beginners and advanced yogis. Available in 17 colors and 4 sizes, this insulated bottle can keep liquids cold for up to 24 hours, and hot for up to 6 hours. Extremely durable, it is made out of stainless steel and non-toxic plastics. With incredibly responsive keys, customizable backlighting options and reliable durability, this high-performance keyboard is perfect for gamers, coders and other serious typists. Learn and practice meditation through daily programs, breathing exercises, relaxing sounds and dream-inducing stories. Track your progress and time spent meditating. Perfect for beginners and serious photographers that want a powerful, DSLR camera. With an 18MP sensor, wide ISO range, HD video recording capability, and much more, you'll be able to capture beautiful visuals. This lightweight yoga mat has a performance grip which gets better with use, ultra-dense cushioning, and a closed-cell surface to prevent sweat, dirt and bacteria from absorbing into it. Comes in 7 colors and 2 sizes. Compact and super light, this ultra-strong umbrella is reinforced with fiber glass, so it can defy the toughest wind conditions. Comes with a lifetime gaurantee, so Repel will replace it if it ever breaks. Play music wirelessly through this ultra-portable, water-resistant speaker. It has a 12-hour battery life, and includes a microphone so you can use the speaker for calls. 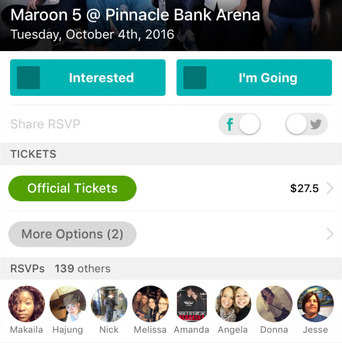 Track your favorite artists, receive alerts when they're touring, and keep track of which shows you have RSVP’d to. You can even sync the app with your music library so it knows which artists you like. This five-plus pound skillet comes pre-seasoned, and is perfect to cook everything from pancakes to steaks. Available in eight different sizes. A timeless design that comes in 38 colors. Includes a laptop sleeve, waterproof zipper, and a fleece-lined sunglass compartment. 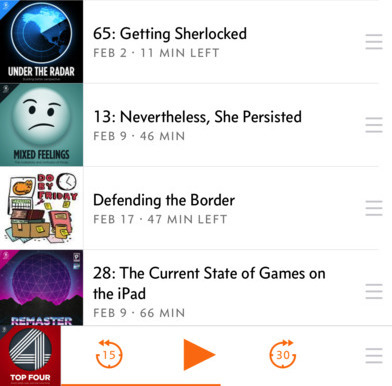 Discover and listen to podcasts using a rich suite of features, including play speed adjustments, smart playlists, and offline mode. Apps also available for the Apple Watch and CarPlay. Discover a ton of great recipes, and thousands of instructional videos. Learns what types of food you like, and recommends new recipes for you to cook. 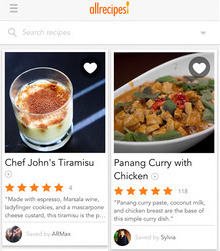 Also lets you organize and share your favorite recipes. Enhance your work area with this gorgeous, high-quality speaker set. Achieve lifelike audio at any volume level. 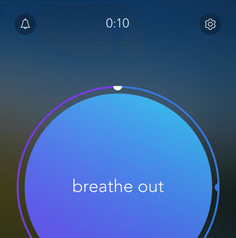 Control pod included to mute and manage volume. Convert any desk into a standing desk. The VARIDESK is height-adjustable to 11 positions, and has two tiers, so you can support multiple monitors, a keyboard, mouse and more. Comes fully assembled. Stainless steel design that creates an ergonomic and effortless nail cutting experience. Backed by an 100% satisfaction guarantee. Includes a nail and toenail clipper. Removes over 300% more plaque along your gumline than a regular tooth brush. Features a pressure sensor, and a 30 second timer, so you know when it's time to focus on the next quadrant of your mouth. Offers thirteen attachments so you can achieve the perfect length for your beard or mustache. Its battery offers 60 minutes of run time. Easily wash it with water without risk of rusting. Five professional-quality brushes that offer an incredibly soft feel. Brushes include those for foundation, eyeshadow, lips and more. Comes with a travel case that doubles as a counter-top storage cup. 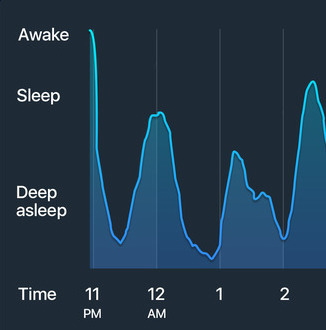 Utilizing your iPhone's built-in microphone and accelerometer, this app tracks your sleep, snoring, snoozes and more. Provides detailed breakdown of your sleep statistics. Produces a full spectrum of light, which can safely help to improve your mood, and to overcome the effects of jet lag, fatigue and long work hours. This incredibly safe car seat can seat your child from when they're an infant, all the way up until they are ten years old. Includes a comfortable infant insert, and can covert into toddler and booster seats. The first full-frame, back-illuminated mirrorless camera, with a powerful 42.4 megapixel sensor. Features the latest technology, and is quickly becoming the camera of choice for professionals. Also records 4K-quality video. Hold cameras that weigh up to a whopping 6.6 lbs with ease, such as DSLRs, mirrorless cameras, and more. Attaches to virtually anything. Incredibly sturdy, it's made with medical-grade plastic and stainless steel. Available in 17 colors, this helmet offers superior, full-coverage protection. Features reflective decals, a removable visor, and 22 vents that let enough air in to keep you cool. Join one of hundreds of cardio and strength training classes available through the app. 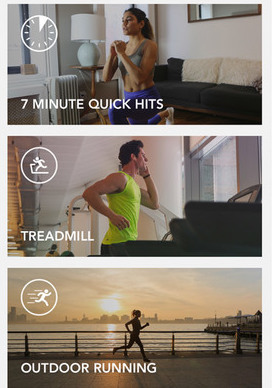 Hear high-quality instructions and motivational messages to help you through your workout, while tracking your progress. Extremely lightweight and durable, this carry-on suitcase features 2 compartments, 2 pockets, a TSA-accepted combination lock, and a padded sleeve which can hold a laptop. Comes in 8 colors. Simply attach the magnet mount to your car's dashboard, and the small magnet disk to the back of your phone. While these magnets are strong, you can easily rotate your phone to landscape or portrait mode. 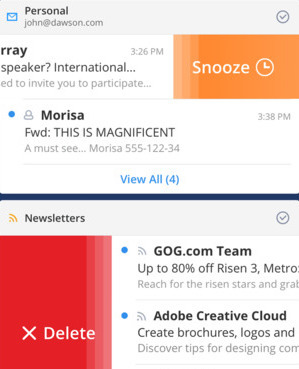 Connect all of your email accounts to take advantage of features like snooze, quick replies, smart search, signature management and more. Works with your calendar and across all of your devices. 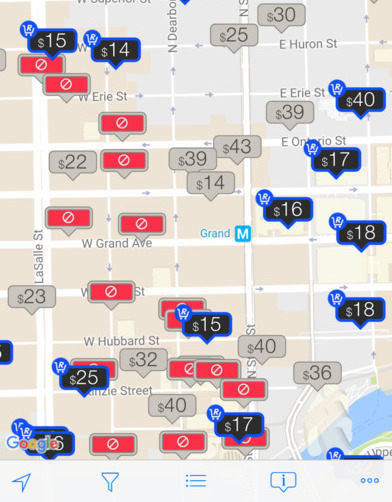 Discover the actual prices at thousands of lots in over 100 cities. Access discounts and see how much you will have to pay after taxes and fees. 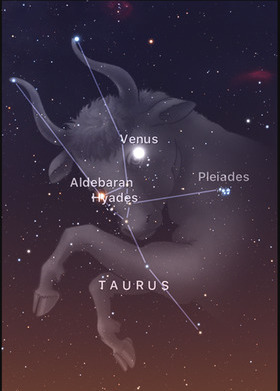 Point your phone to the night sky and magically see an outline of the constellations, formations and planets visible from exactly where you are standing. Learn about solar objects and discover endless stats. Raise your laptop to your eye level for a better, more ergonomic desk setup, while also improving your computer's air flow. Includes a cable organizer to easily route your wires. Available in three colors. 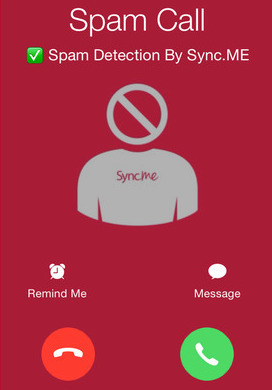 This app warns you when you're being called by spammers and telemarketers. You can also search numbers that may have called you to determine their identity. 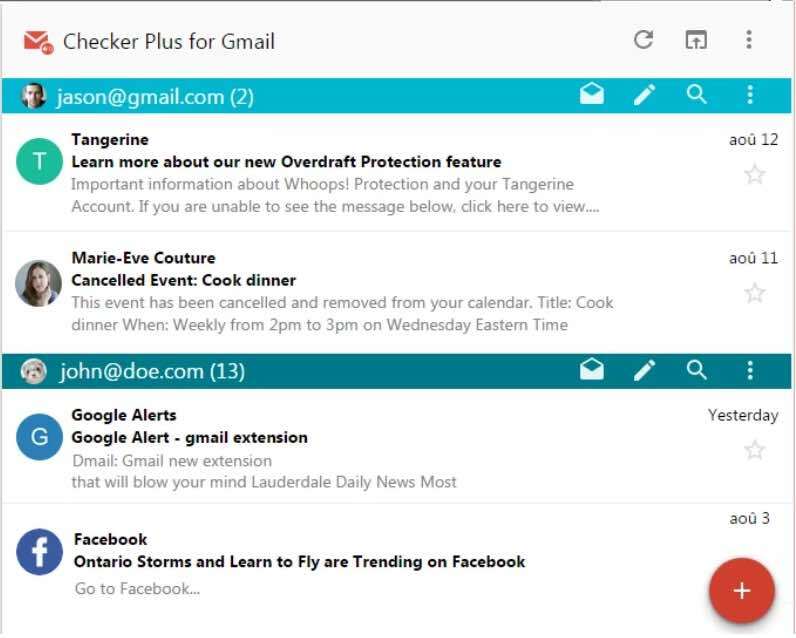 Easily read, archive and "mark as read" new Gmail emails without leaving your current window or visiting Gmail. Manage multiple accounts and customize notifcations to suit your preferences. 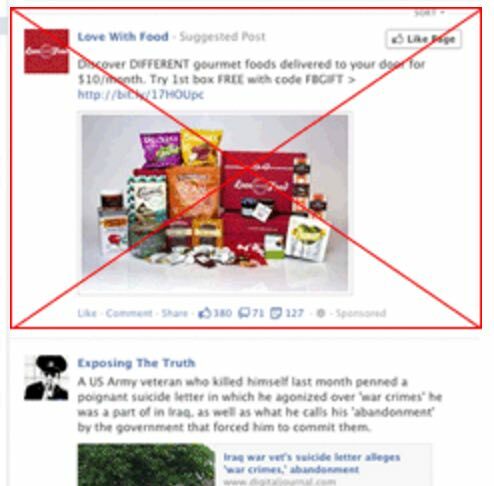 Block all ads, or just those that are obtrusive, from everywhere on the web, including YouTube and Facebook. Speeds up your browser, and creates a more pleasent web browsing experience.